Animal Crossing: New Leaf: Preorder Bonus: Isabelle and Town Hall Figurine Set! Preorder Bonus: Isabelle and Town Hall Figurine Set! 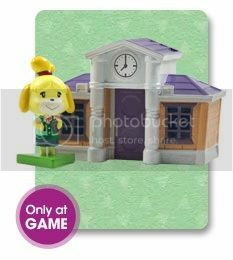 Preorder AC:NL from game.co.uk and receive this cute Isabelle and Town Hall figure set.